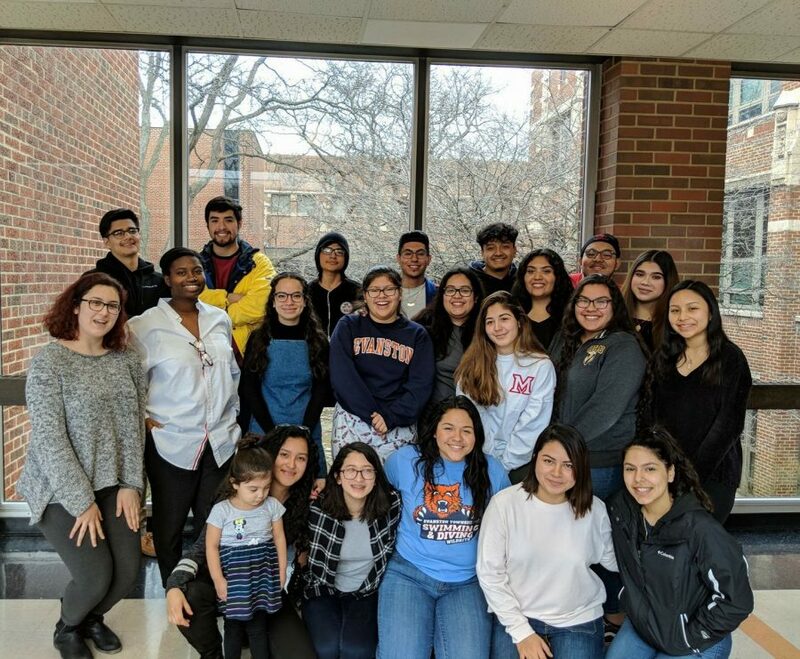 NU and ETHS students prepare for their upcoming Latinx summit. Students conducted research throughout the 2017-2018 school year to present at the summit, which will be held Friday. Students participating in Northwestern’s Borders and Identities youth research collaborative will host a summit at Evanston Township High School to lead workshops about their research on the Evanston and ETHS Latinx communities. The Youth Participatory Action Research Collaborative is a project that aims to empower young people and students in the Chicago area to “examine their social realities through research,” according to the Borders and Identities Facebook page. For the past 14 weeks, 15 NU students have collaborated with about 30 ETHS students, said Danielle Dougé, a member of Borders and Identities. Borders and Identities co-founder Helen Gutierrez said the collective provides a way for students to work to address problems affecting their own communities. Topics include segregation and affordable housing, diversity at ETHS and an analysis of wellness classes in relation to Latinx culture, Dougé said. Latina and Latino Studies Prof. Alejandro Carrión, whose research focuses on the intersection of Latinos and education, said many Chicago students wanted to bridge the gap they feel exists between what they learned at NU and what they see in their communities. Though Borders and Identities is housed within Latina and Latino Studies, the goal of the project is not to explore cultural identities, but to focus on society, he said. The summit workshops are 90 minutes long, Dougé said. Throughout the day, the school will also host performances and career panels with Evanston Latinx professionals. This is the group’s second year working with ETHS to host the Latinx Summit, which is part of the school’s Social Consciousness Series. As part of the series, ETHS hosts summits focusing on other identities, including a South Asian Middle Eastern Summit and the Women’s Empowerment Summit. Dougé said that in previous years, students who attended the Latinx summit felt they weren’t involved in the different events and presentations. The event, which is open to ETHS students, will take place Friday. ETHS students need to sign up for workshops, and members of the public who want to participate in the workshops will need to register, Dougé said.